Please share your journey with fibromyalgia so that others may understand. Oh my gosh, thank you for putting this together. I try to visit other spoonie blogs but the amount of sites I find is so overwhelming. This is such a neat way to get to know people and their blogs. How do we submit a blog on here? 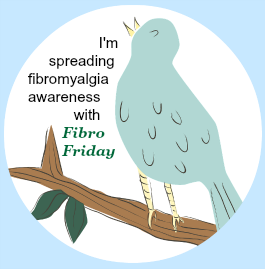 If you are looking for information about fibromyalgia you might find my blog useful. Only by reading widely can we get an overall picture of fibromyalgia syndrome and how we can deal with its symptoms, learn to cope with them and still have a life.